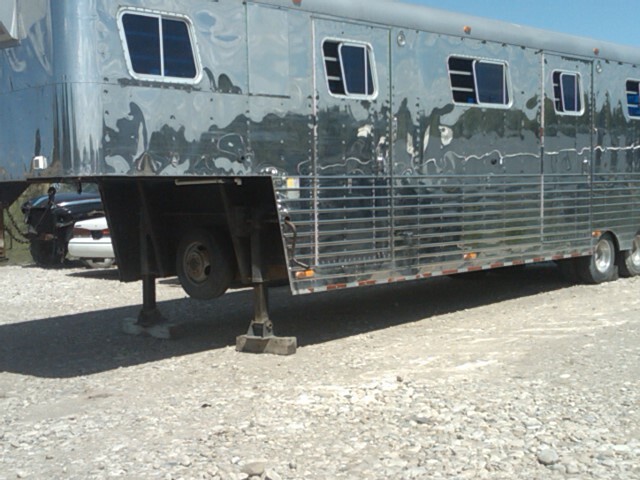 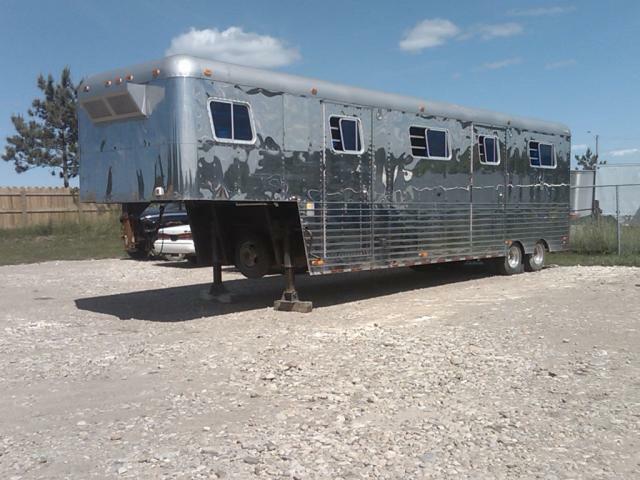 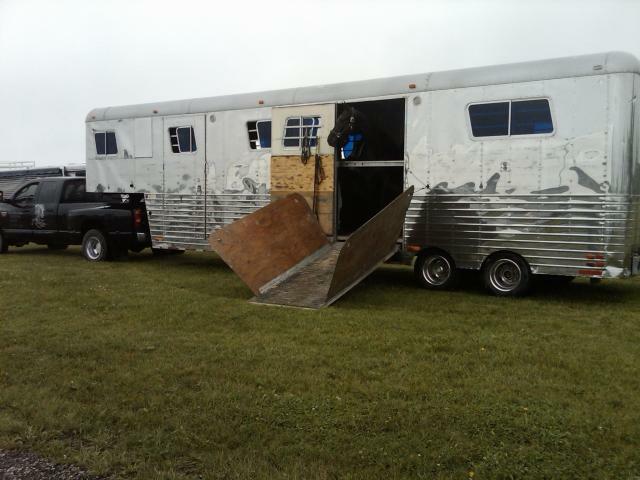 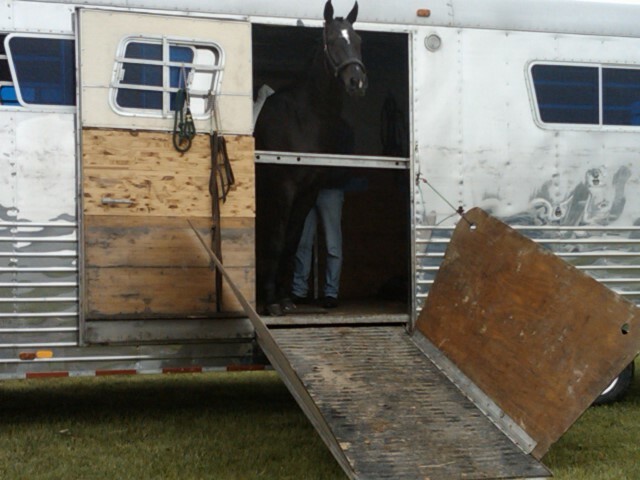 About our equine transportation trailer. 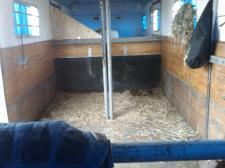 The Gooseneck section of the trailer has its own large onboard water tank and room for tack trunks and equipment, and is also fitted with a CCTV camera. 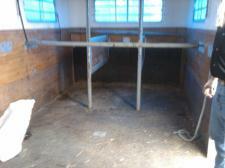 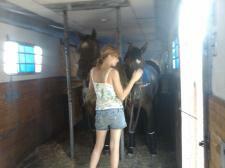 All horses are shipped in stalls that are fully bedded and with ample hay.